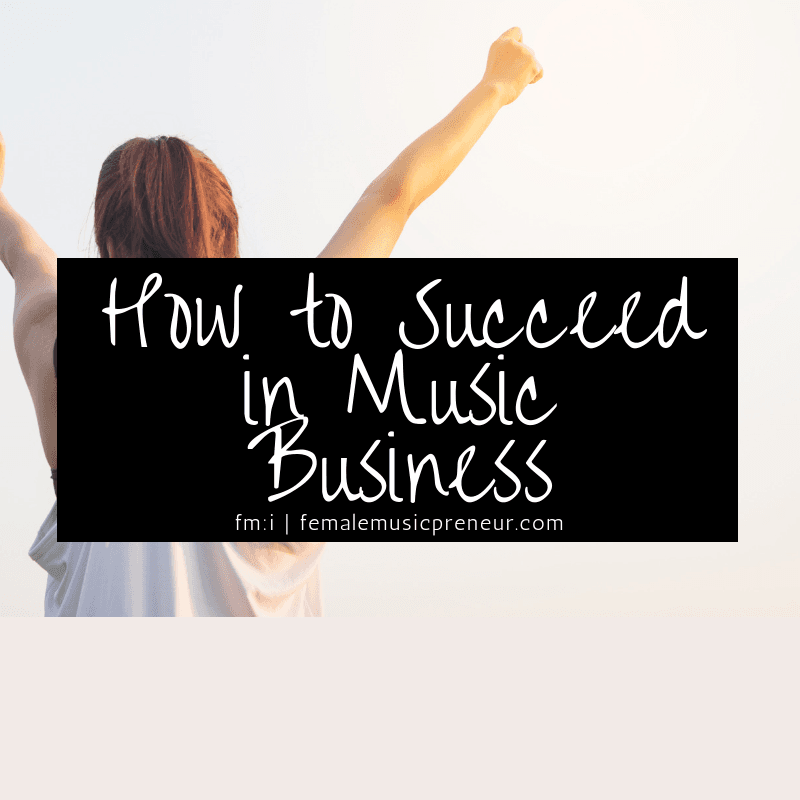 Want to know how to succeed in music business? How to succeed in 2019, or in anything for that matter? If so, follow the simple, proven success strategy shared in this post. 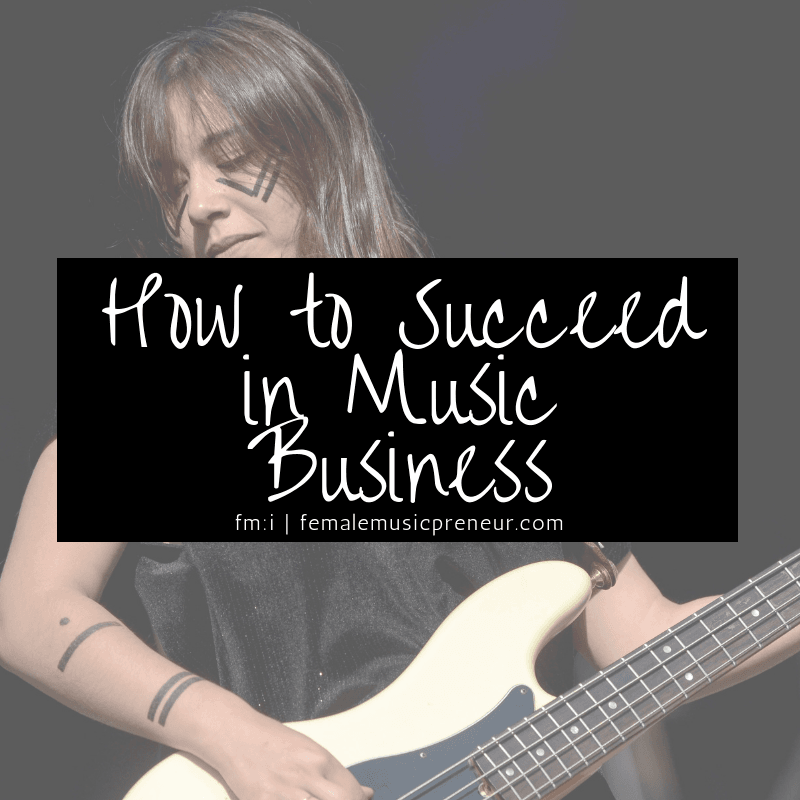 Based on my personal success experiences, observations, client feedback, and many years working in music business professionally as a musician-turned-music-business-owner whilst remaining a pro musician, I would say the success part is relatively easy. The way I see it, aspects that make it seem hard include our mindsets, unwillingness to change our approach, and/or lack of direction. I often share and post about simple success strategies, in my newsletter, on social media sites as well as here on my blog. This post is one example: How to be a successful independent music artist. Check it out for some actionable success tips. As we end 2018 and quarter four, I notice many hard-working musicians are doing the ostrich. They are either calling it a wrap for the year with their deep seated beliefs that they aren’t (lucky/minted/connected) enough – or just not good enough, intact. Another 12 months gone by, just like that and seemingly nothing to show. Alternatively, others jump on the next quick-fix to catch their attention that will take them away from facing facts. Do either scenarios ring true for you? Can you relate? Well, lady boss! It doesn’t have to be that way! 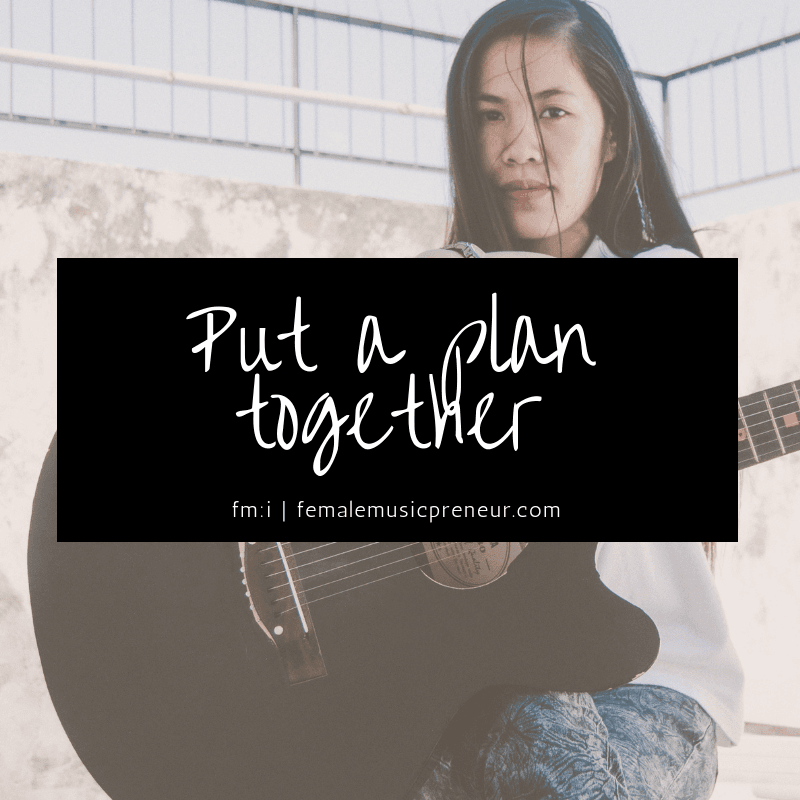 So, How to Succeed in Music Business? I wanted to share this simple breakdown of how to succeed in music business on your terms. Upon reflection of all that I have achieved in my life, in seemingly record time in some cases, I’ve noticed the unifying factor is the success strategy I use to attain my goals. My strategy works and it can work quickly! For a real life example, by August this year I had written and published my bestselling book ‘Music & Money’ on music business success and how to make money from music sharing my proven success strategy step-by-step. It also shows how to build a career that will last and how to use success habits to maintain that success and create your music with ease! It took 45 days from conception to publish date; ‘Music & Money’ was an instant no.1 bestseller in 8+ categories. Plus, it stayed in the top 5 for the first 3 weeks! It has glowing reviews and has positively impacted many musicians and business owners – many not even in business! Here’s one happy reader’s feedback! Now, until this year, I was not an author. I’d not attempted anything like it before. How did I do it? I used my very own success strategy – I share a simplified version of it with you in this post. I have used it throughout my music career and life. It works a treat! I recommend this strategy as a basic outline for achieving any goal, be it success in 2019, success in your music career, or success in other endeavours. You might be thinking, is that it? If so, I wouldn’t blame you. As stated before, we tend to be our biggest problems, not the methodology! Something which cannot be said enough, if we find we are getting the same or non-existent results, something about our approach needs to change. To know how to succeed in music business, you must first have an idea of what success looks like to you. Is what I am aiming towards with my music activities in line with my own definition of success? 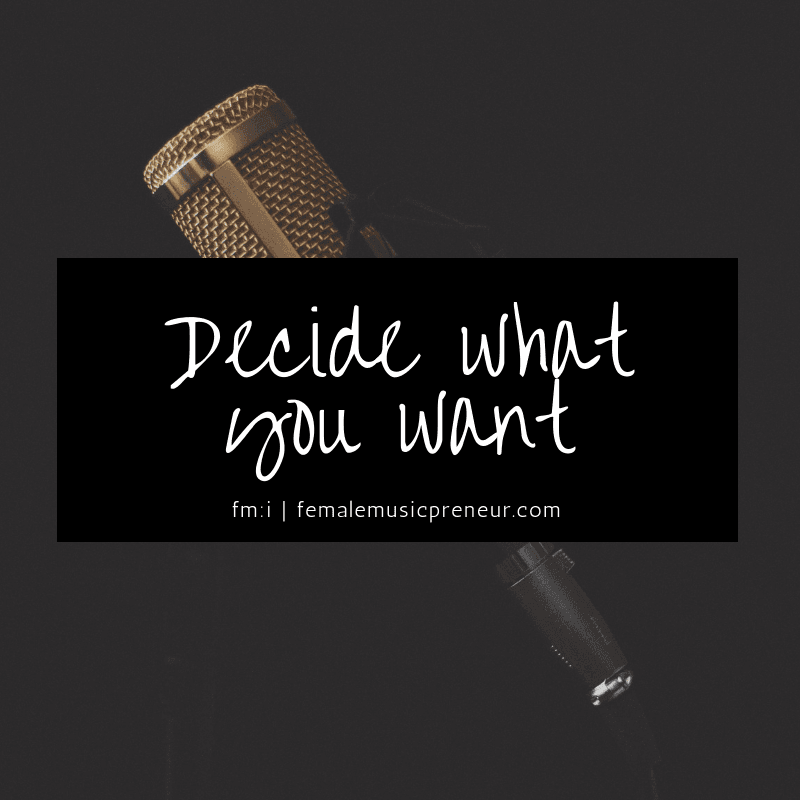 What do I really want to have or achieve within the next year? To know how to succeed in music business, you must have a clear idea of what you need to do to attain it. 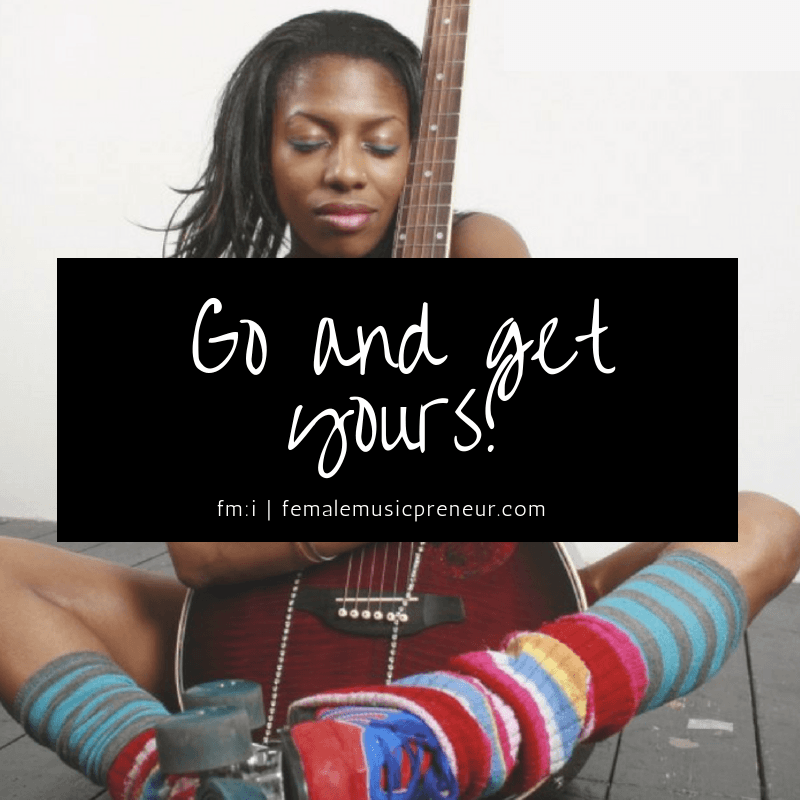 To know how to succeed in music business, you must put the pedal to the metal and take action, lady boss! Now I am very much a law of attraction lover and advocate, and yes, some things seem to manifest and materialise *just like that!*. However, I also know that such things occur because I put the intentional and relevant work in and laid a solid foundation, which, in turn, ensured that great things and outcomes happen in my music career, seemingly like magic! So once you decide on what you want and what you need to do, go and get it! Yes, it is easy to believe that it is more difficult than that, but it isn’t. Believe it is, is a conditioning thang. If you would like me to help you ninja kick those doubty voices into touch, just get in touch to learn more. And there you have it. Success can truly be yours if you follow these simple steps. In case you want to delve deeper with this process, my free success mini-course helps you take these three tips further. Try it. You will find things more simple and doable, feel in control and manage that overwhelm once and for all! You might like to join me on my end of year #BossMoves 2018 Review and 2019 Success Plan-of-Action call. I’m inviting you to cut through the faff and noise in your head or out there and join me on a group success call. 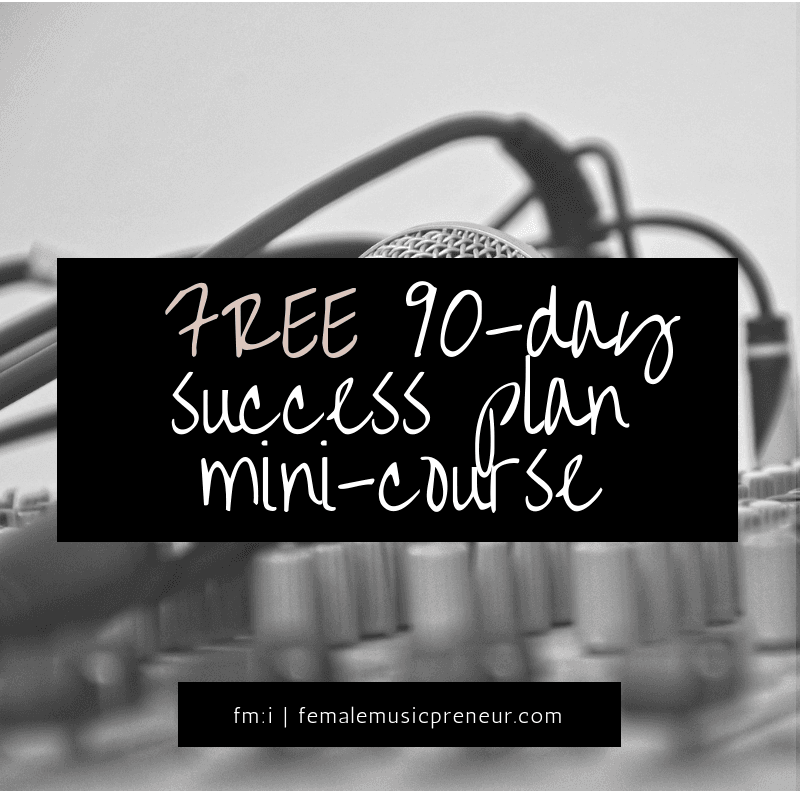 During the call we will go through my tried tested and proven review, strategy and action planning system – tailored from my 90-day Success Plan for Musicpreneurs program – and gets you ready for bigger wins in 2019. You will have me there to help you get clear in under an hour on exactly how to move forward to kick off the new year with a bang. Also, I’ll be available via email if you ever get stuck or need a quick boost of sisterly love. I’m a success junkie and I just love to help people win with ease! Ready to rock? I am! Hope to see you in the call! Click here to book: #BossMoves 2018 Review and 2019 Success Plan-of-Action live call.